Shihan Ty Aponte began his Martial Arts training (Shotokan karate) in New York City (1970-74) under Sensei Hector Martinez (9th dan). In 1974 Shihan Aponte moved to California and began training in Shorin Ryu karate under Shihan Dean Pickard (5th dan) and received his 1st degree black belt (1976) and all subsequent Shorin dan ranks thereafter. In 1977, fresh out of High School, Ty opened and named his school USKL Defense Arts Center in an effort to create and offer a complimentary mix of the Japanese Budo arts (Karate-do, Judo, Aikido, Iaido) and other disciplines, such as the eclectic art of Jeet Kune Do, with each martial art style taught by instructors qualified in their respective arts. 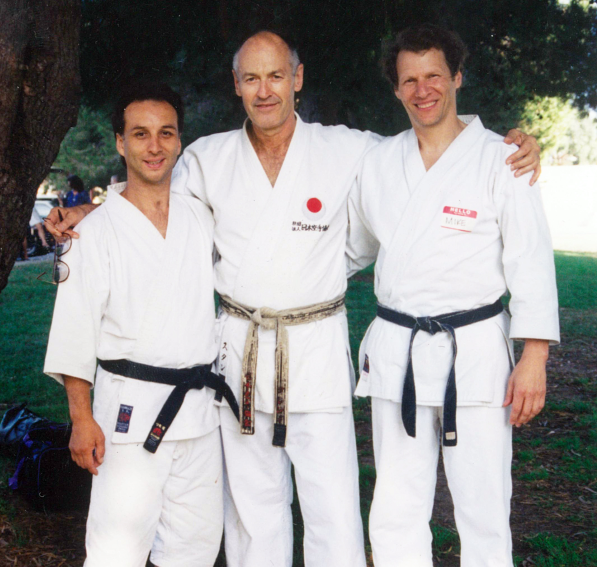 Upon Professor Pickard's temporary retirement from MA teaching in 1994, Ty was awarded the rank of 5th degree black belt, along with the title of Shihan and the reins of the organization. 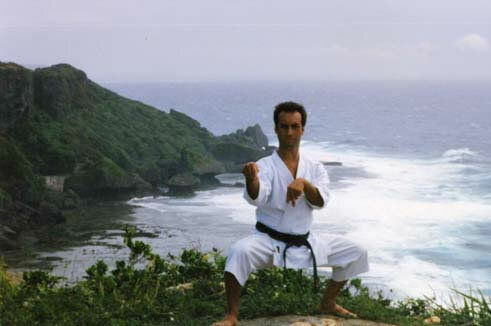 In 1994, Shihan Aponte made the decision to shift the core foundation of his training and instruction from a Shorin based style to a more internationally recognized Shotokan style. Shihan Aponte sought out the very best and trained with the Late Venerable Shotokan Master Hidetaka Nishiyama, (9th Dan) from 1995 until his passing in 2008. Ty is registered as a Sandan with the International Traditional Karate Federation (www.ITKF.org). Shihan Aponte is the chief instructor/manager of the Upland Shotokan Karate League/Defense Arts Center in Upland and heads the Claremont Colleges and University of La Verne Shotokan Karate/self defense elective Physical Education programs. 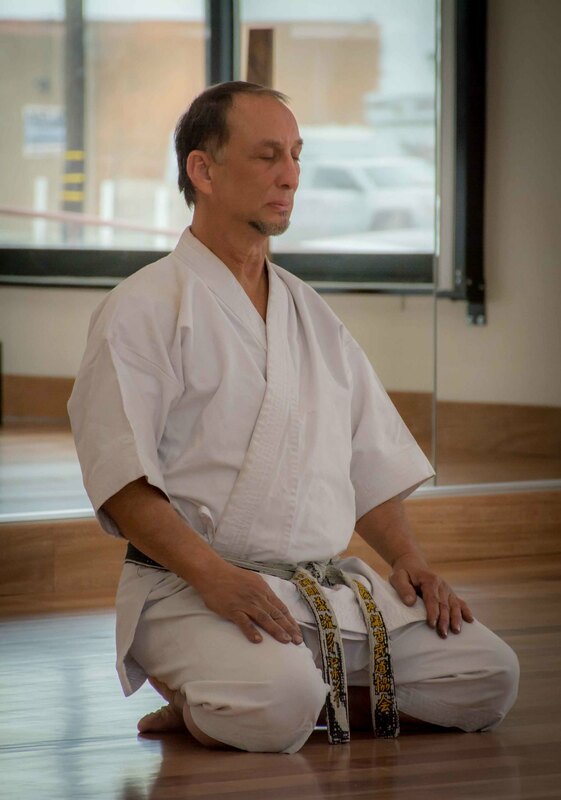 Considering himself a perpetual student and having nothing less than a passion for learning, teaching and training in the martial arts, Sensei Aponte has, in over 35 years of training, broadened his scope with Black belt rankings in: Okinawan Tanzenbukan Goju-Ryu karate (2nd. deg.) & Okinawan Kobudo (weaponry 3rd deg.) - both under Kyoshi Anthony Marquez-8th dan. Sensei Aponte also has had extensive training in Escrima, Motubu-Ha Shito-Ryu under Sensei Bayani Adlawan - 6th dan, and JKD (Bruce Lee's Jeet Kune Do) under senior JKD instructors Tim Tackett and Ernie Franco. He holds a shodan (Black Belt) in Judo from Sensei Gary Goltz - 8th Dan, and a brown brown belt in Dan Zan Ryu Jujitsu from Senseis Greg Fernandez and Gary Goltz. 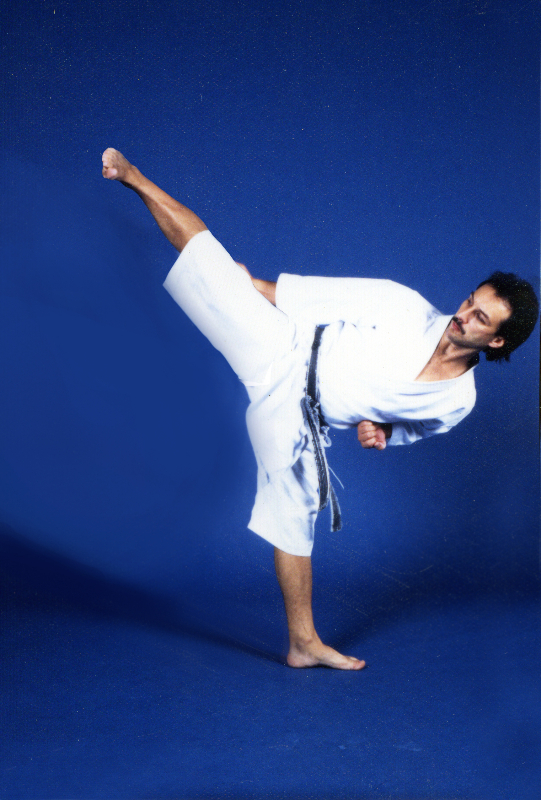 Shihan Aponte has competed extensively and has been the recipient of many awards, including a small string of full-contact victories in 1975-77. Shihan Aponte is one of the few to take First Place in Kata (1985) at the highly competitive Ozawa International Tournament in Las Vegas, Nevada, prevailing over 75 other Black belts. 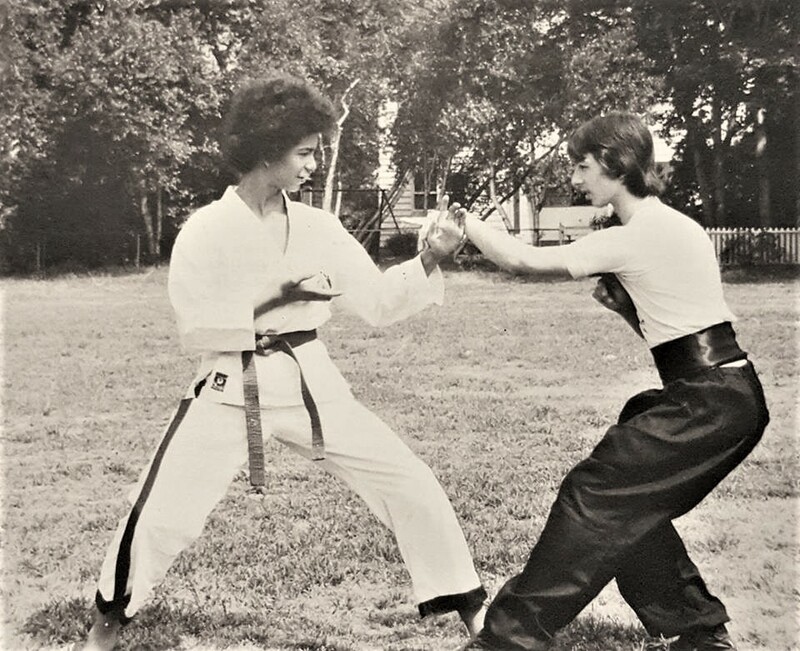 During the late 70's and early 80's Ty met and became friends with many awesome competitors of the day, one of which was Sensei Steve Fisher; a formatable and gifted karateka. "Seventh degree black belt and karate legend Steve Fisher was a nationally and internationally ranked kata and kumite competitor, winning over five hundred competitions over his illustrious career. Steve originally received his 1st kyu brown belt in Shotokan karate from Master H. Nishiyama before moving on to studying Shorin-Ryu under the watchful eyes of international champions in their own right, Masters Tadashi Yamashita and Mike Stone. 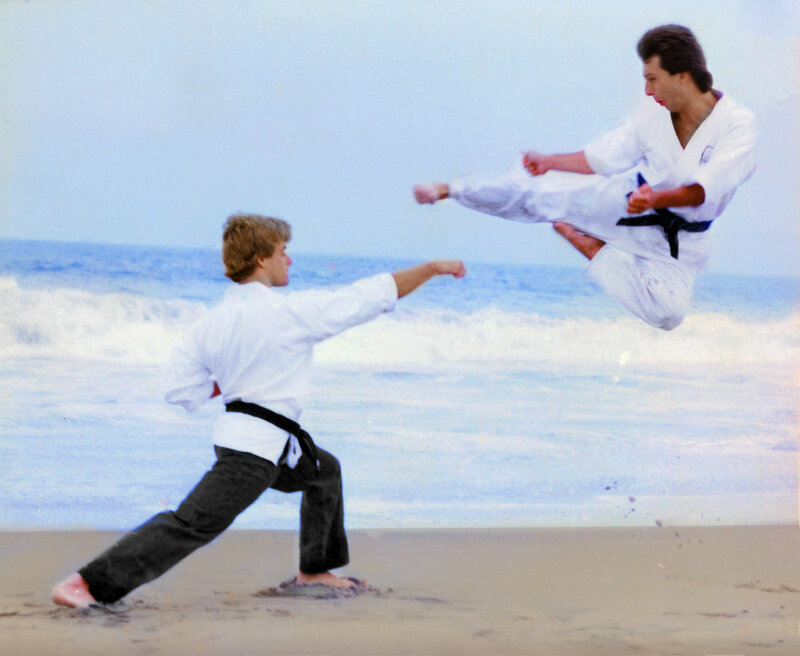 There was a period where Steve took me on (through his generosity) as a protege to train in kata and kumite. I would drive my '62 VW bug once a week from Claremont to the city of Hawthorne where Steve had his dojo. 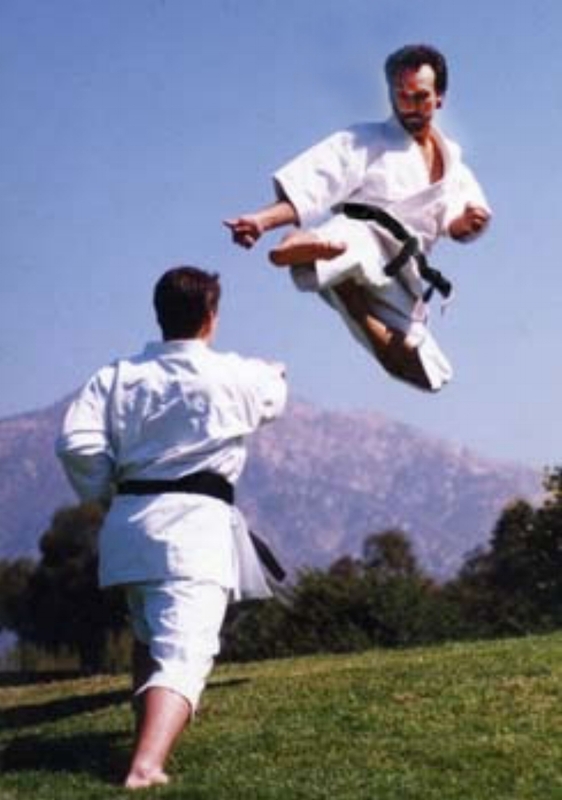 It was there that I also received a more eclectic form of training not only under Mr. Fisher but also under such notable karate greats (guest instructors) as Mike Stone, Howard Jackson, Darnell Garcia, and Benny (The Jet) Urquidez, among others. Steve Fisher, known as "The California Kid," passed away on February 22, 2016 at 63 years old. He was a champion of champions, a man of honor, respect, who demonstrated class and integrity both in and outside of the ring. This loving soul will be missed. " In the summer of '95 Ty traveled with Kyoshi Marquez and company to Okinawa to train under some of Okinawa's legendary kobudo and karate masters, and compete in Okinawa's pre-World tournament. (Ty later took a solo detour to train in Japan). 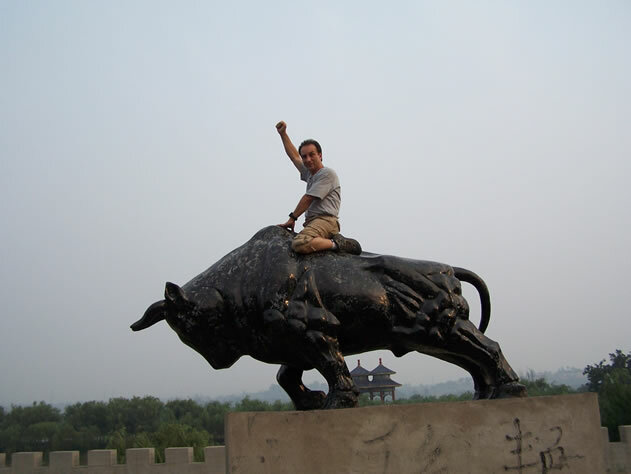 In 2005 Shihan Aponte won a fellowship through the Claremont Colleges; Avery China Adventure Program to study the Foster Care system in China. While there he engaged himself with various volunteer groups (China Care orphanages and Habitat For Humanity-China). During his three-month stay, Ty did plenty of sightseeing - traveling to five different provinces. 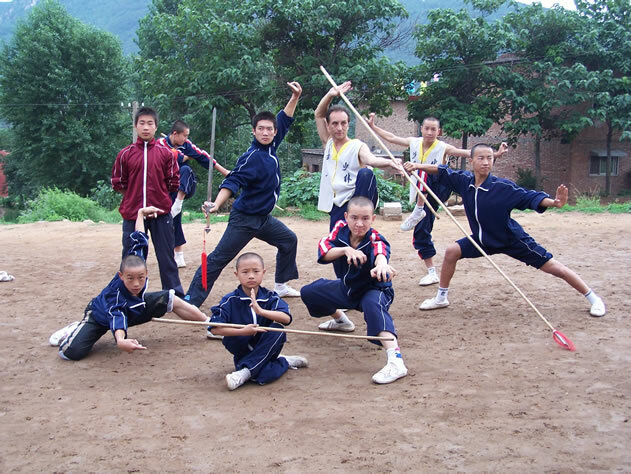 The highlight of his trip came when he spent three intensive and austere weeks training in Gung-Fu at the Shaolin Temple in Henan province under the guidance of Sifu Ha. 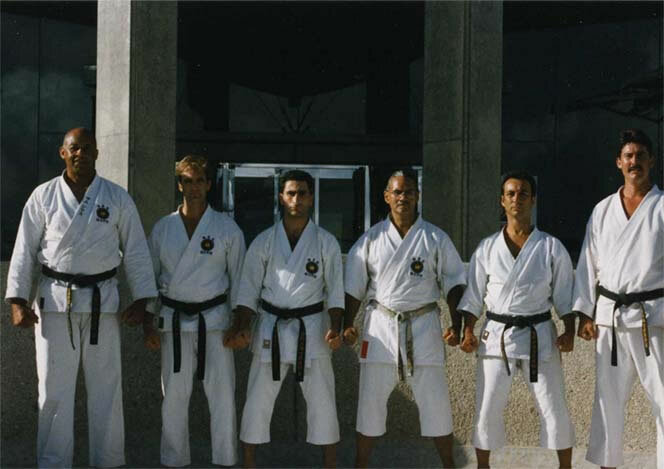 In addition to the above named masters, Shihan Aponte admires and credits many other individuals with having helped shape and inspire his martial arts ability and with whom he has had the pleasure of calling friends for the many years. Shihan Aponte continues his martial art studies through self study, and through attending seminars and taking training classes whenever possible with some of the best martial artists and Shotokan instructors in the world. 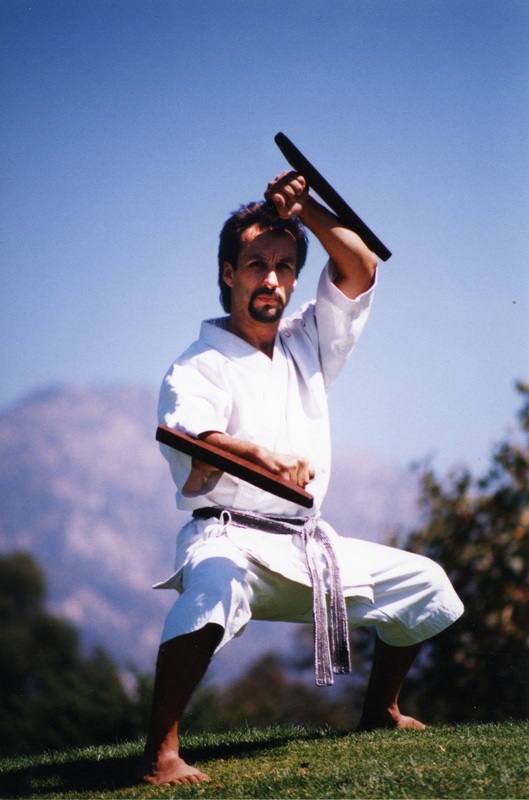 Currently Shihan Aponte trains with Hiroyasu Fujishima, Hanshi, an 8th dan, Shotokan Karate International Federation (SKIF) master who has taught Shotokan karate in the Department of Kinesiology at Cal State University Northridge since 1969, as well as founded the CSUN karate club. On June 10th, 2018 Ty received his SKIF Yondan (4th Deg. BB) from Hanshi H. Fujishima and Kancho Nobuaki kanazawa, SKIF 8th Dan. Ty also trains (on Sunday mornings) with a small yet passionate group of Wing Chun Gung Fu enthusiasts under the direction of veteran Wing Chun Sifu Stanley Tang. 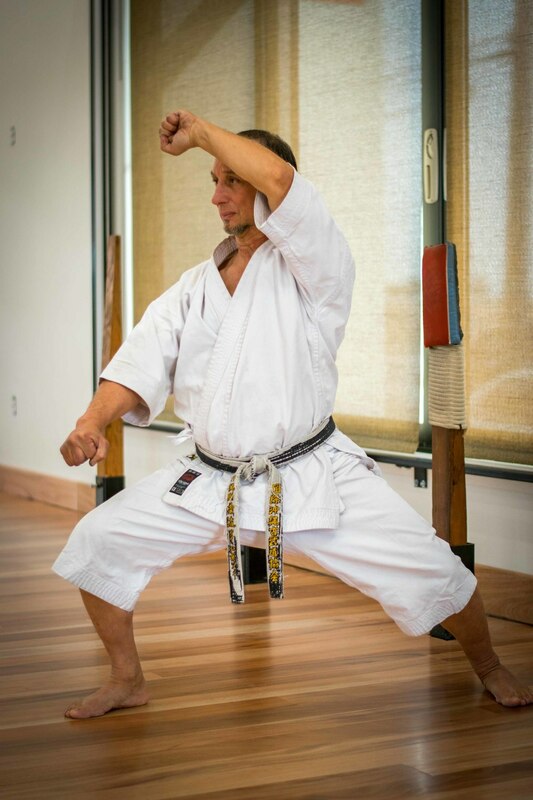 Shihan Aponte incorporates his years of training and experience into his classes. He emphasizes tradition, while remaining creative, devising, open-minded, and progressive. Aside from the warm USKL dojo family, Shihan Aponte is joined by his lovely wife Lynn Aponte, herself an instructor and 5th Degree Black Belt, and their two boys, Kieran and Keelan Aponte, both of whom are 1st Degree Black Belts and have been successful athletes, as well as honor roll students, displaying excellent citizenship in and out of school. Shihan Aponte's daughter Sarah Salazar is a graduate of Azusa Pacific University, lives in Dana Point CA, and works for AT&T Wireless.